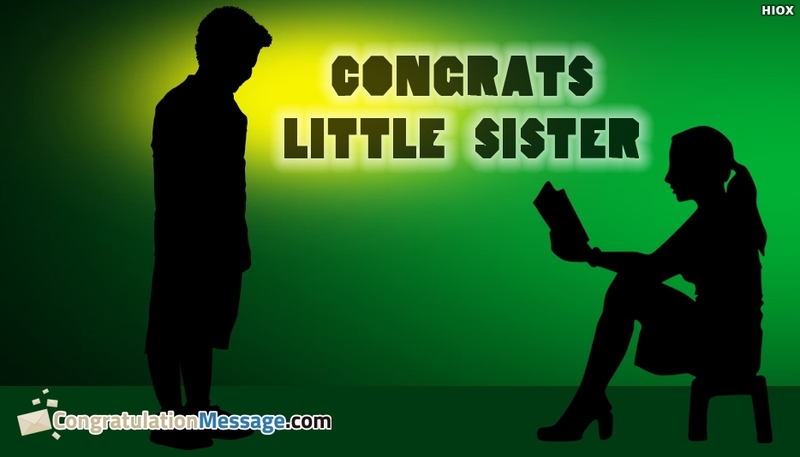 A simple congratulation wishes to pass on to your little sister for her success or achievement. It may be her graduation, new job, new title, new award or anything. A heartfelt wish from a brother to a sister on her new beginnings or achievements would give her inner spirit, confidence and courage that you are always with her. Just download this congrats little sister image from here and wish her.